The Football Scholars Forum has garnered national media attention as a venue for innovative and collaborative scholarship. On February 11, the Chronicle of Higher Education published a feature article on rethinking doctoral dissertations that quoted FSF co-founder Alex Galarza, a PhD. 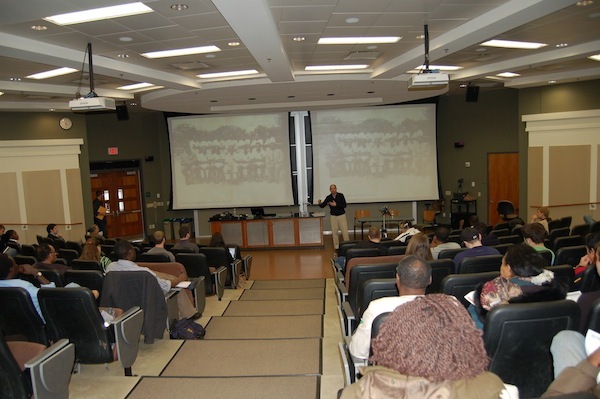 student in history at Michigan State University. Click here to check out his prototype for a digital dissertation on soccer clubs of the 1950s and 60s in Buenos Aires. On Wednesday, December 5, at 3:30pm EST, our final “game” of the 2012 season will feature Jun Stinson’s short film, The 90th Minute. The 20-minute documentary follows three members of FC Gold Pride, the 2010 Women’s Professional Soccer champions. The film sheds light on what it’s like to be a female professional soccer player in the U.S. — a dream that has become more elusive after the demise of the WPS. Why are Hope Solo, Alex Morgan, Megan Rapinoe, Abby Wambach and others struggling to play professionally in their country? Why have two pro women’s soccer leagues failed since the heady days of Mia Hamm, Brandi Chastain and the 1999 Women’s World Cup? What needs to happen for a new women’s league in the U.S. to be sustainable? How does the situation in the U.S. compare with international trends? Unfortunately, Jun Stinson is unable to join us for the session. However, Peter Alegi interviewed Jun on the film and asked a few questions on behalf of the group. To listen to Peter’s interview with the director, click here. We are pleased that Gwen Oxenham, former Duke and Santos player and one of the producers of the film Pelada , will join us for a terrific season finale! Send Alex Galarza (galarza1 [at] msu [dot] edu) your Skype name to be included in the call. Alex can also email you the link and password to view the film. Update: On November 21, “U.S. Soccer president Sunil Gulati announced the launch of a women’s professional league which will start play in March,” according to ESPN. Read more about it here and here. 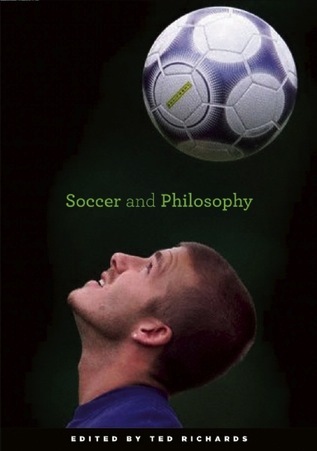 On Wednesday, November 7, at 1pm EST (the day after the U.S. presidential election), the Football Scholars Forum will convene to discuss Ted Richards’s edited book Soccer and Philosophy: Beautiful Thoughts on the Beautiful Game. This session promises to expand the horizons of those of us whose knowledge of the intersections of philosophy and football is limited to Monty Python’s famously hilarious “Germany vs. Greece” video. Please RSVP by emailing your Skype name to Alex Galarza (galarza1 AT msu DOT edu) so that you can be included in the online call. Globalizing "El Tri": Mexican fans in the U.S.A.
Our inaugural meeting of 2012-13 was an exciting affair. It revolved around Javier Pescador’s new work on Mexican fans of “El Tri” in the United States. The uses of wrestling masks, Aztec symbols, churros and other markers of Mexican-ness demonstrate some of the ways in which fans are helping to transform the Mexican national team into a global brand. The discussion covered many important topics and themes, including youth soccer, commercial and media imperatives, differences between Mexico-based and U.S.-based fan experiences, club vs. national team tensions (in MLS, for example), and the sources and methodology informing this research. Pescador’s Flickr photostream here is worth checking out. Participants: Alejandro Gonzales, Hikabwa Chipande, Ben Smith, Ed Murphy, and Peter Alegi (all with the author in East Lansing); David Keyes, Corry Cropper, Melissa Forbis, Ana Paula Martinez, Andrew Guest, Sean Jacobs, Chris Bolsmann, and David Kilpatrick (via Skype). This paper analyzes the profile, evolution and transformation of Mexican soccer communities in the United States in the context of current globalization processes that are redefining national identities, recreational activities, ideals of youth and manhood, and consumer practices among people of Mexican origin or descent in the United States. Focusing on the interactions and connections U.S. Mexican soccer communities have developed with the Mexican national team and with the increasingly dominant Big Time sports global media, this study discusses new ways of producing and framing Mexican nationalist symbols in global arenas with significant and unexpected consequences. The session, as is our custom, will be physically held in East Lansing, Michigan, and live online via Skype. For a copy of the paper and to participate online please contact Peter Alegi at alegi [at] msu [dot] edu and provide your Skype name. “There are no friendlies in football” is a well-worn cliché of the game, one that supporters of the sport in the United States are resorting to in defense of their enthusiasm for the men’s national team’s 0-1 victory over Italy in Genoa this week. As any Yank who has ever played overseas knows well, each match – whether pickup or pro – is a battle for respectability. To be sure, there have been more shocking and significant results in the history of American soccer, from the win over England by the same scoreline in Belo Horizonte at the 1950 World Cup, to the 2-0 win over the defending European and eventual World Champion Spanish side in the semifinal of the 2009 Confederations Cup in Johannesburg. But this was the first time in eleven efforts that the Americans were able to defeat the Azzurri. The 1-1 draw between the sides in the group stages of the 2006 World Cup Finals, the US playing much of the match with ten men, may well have been a greater accomplishment, as they were the only side to play but not lose to the eventual champions of that tournament. While no title was at stake this week, the result would be less impressive if earned on neutral soil; one cannot overstate the significance of Italy suffering their first defeat in Genoa since 1924. “Football/Fútbol/Soccer in the Classroom” drew 17 people, a new record for FSF! It was an extremely productive and fulfilling session. Peter Alegi, Tom McCabe, Steven Apostolov, Sean Jacobs, Alon Raab, and David Kilpatrick kicked off with brief comments on each of their soccer courses. A vigorous and wide ranging discussion ensued. Among the many questions and issues tackled by the collective, were the following: how can we integrate technical and tactical aspects of the game into broader intellectual analysis? Given the huge canvas of “global soccer,” how have instructors dealt with thematic, geographic, and chronological coverage? Which films and popular literary works have worked well and why? What is the state of “football archives”? Audio of the session is available here. Klinsmann's USA project: Reform or Revolution? Of course, the US soccer system has demonstrated little such creativity so far. In general, its pay-for-play youth system marginalizes or excludes the working class and the poor and almost invariably produces robotic, Anglophile, tactically troglodytic teams. So is Klinsmann’s project reformist or revolutionary? Amy Lawrence in The Guardian’s Sports Blog writes that “the great German enthusiast is trying to overhaul football in the US not just the national team.” The post picks up on some of Vecsey’s insights and adds Klinsmann’s criticism of both the short MLS season and the archaic system of using college soccer to form professional players. Readers’ comments on the blog page make for fascinating reading. What do you think about the Klinsi debate? With the 2011 Women’s World Cup around the corner, it seemed especially appropriate to hold our first session on the women’s game on April 18. Facilitated by Jennifer Doyle and featuring author Cynthia Pelak, the group covered some key issues and topics, including the hidden history of women’s football; gender, sexuality, and class; media disinterest about women’s sports; the impact of FIFA’s takeover of the women’s game; South African dynamics; law and government policy; coaching and playing styles; empowerment and disempowerment. The audio for the meeting is available here. Anti-government protests in Egypt are being driven by young men, including Egyptian ultras writes FSF member James Dorsey. “Soccer fans constitute a well-organized and feared pillar of the marshalling grassroots coalition determined to ensure that President Hosni Mubarak suffers the same fate as Tunisian President Zine El Abidine Ben Ali who was toppled earlier this month by mass demonstrations.” Full article here. For more details on Egyptian ultras and the social and political implications of the game in Cairo, listen to David Goldblatt’s The Secret Policeman’s Football: Al Ahly v Zamalek (part 2 of his BBC radio documentary “The Power and the Passion”) and read this multimedia essay by one of the founders of Egypt’s first ultras group.